There's a thread for slurping all over D'Lo in general right? Wonder what this place will look like on Friday with Randle. Randle won't be playing Friday so it will be quiet until the next time they meet. One year really isn't enough time to say someone is "never seeming to improve." Russell had one year with Byron, and one year with Luke. Near the end of his season with Luke he had one of the best statistical stretches of anyone in his age range, and was one of the few within that age to put up the stats he did, even with his minutes and role being dilly dallied with all season, and being benched for no reason. That's definitely not long enough to say "he never seemed to improve." Way too early to have that assumption imo. And last season he started being that 20/4/5 player we saw him being, but the knee injury messed with him and he never got all the way back. This season he's been healtheir and seems to be rounding to that point again. Either way, it was far too early to assume he'd never get better. Particularly considering the numbers he was putting up for someone his age at the time and the flashes of brilliance he'd shown, and consistency he seemed to finally find till Luke benched him after one bad game. That's why Randle isn't here. It helps to rack up assists when there's no rim protector and a layup line. What about the 4 turnovers? Doesn't bother you? you think 13 assists and 4 TO's is bad? The difference is 13 assists is an outlier (he averages a modest 6 per game). The turnovers are not. nice try....the conversation originated about Lonzo and Dlo....you have been running around the board all night trying to diminish everything DLo did....as he was doing it....then you throw up 4 TO's as a defense clearly not realizing any team would take 4 TO's to 13 assists every night....then you shift to outliers. Again, the biggest outlier of the night was Ball's scoring....which again was one of the two subjects where the discussion began. DLo showed out tonight....he was clearly the best guard on the court tonight....just accept it for what it is. Objectively, no way in hell DLo outplayed Zo. Sure, DLo got the win but it's a team game, can't put that on one player. You have some fair points but not all stats are even. For a PG, 22 and 13 is better than 23 and 6. Moreover DLO was the best player on the winning team. He had full reins over the offense and ran it beautifully. He also hit the biggest shot of the game. He was better than Ball on this given night. Moreover, this game was an outlier for Lonzo as it was his season high and much more production than his normal games. This game was not an outlier for DLO. One of his better games but nothing extremely unusual. What's painful tonight is the obvious benefit of Julius Randle for small ball. JR is still a better defender than Kuz on those switches. I agree that 22-13 is better than 23-6, but you have to take into account that DLo took 5 more shots to score 1 less point. The difference in points is trivial, but the difference in efficiency is definitely non-trivial. As far as the assists, DLo deserves credit for getting his teammates involved. No question about that. That said, for better or worse, LBJ controls the offense, not Lonzo, so it's much harder to rack up double digit assists when you don't have the ball in your hands for large stretches of the game. On a positive note, he hit a big shot, and deserves praise for knocking it down. One could argue that Lonzo had his best offense game of the year because of DLo's lackadaisical effort on defense, but that's neither here nor there. Respectful minds can disagree on who had the better game . DLO would have fit better with LeBron than Lonzo Ball. I hated the DLO trade at the time and question why in the hell we would waste a 2nd overall pick on a PG, in today's NBA, who couldn't penetrate, had no mid-range game, didn't have many clutch games, etc. Anyways... back to my point. LeBron needed a closer for most of his career... and someone that complimented him having the ball in his hands. He needed a DWade or Kyrie. Lonzo Ball is not, and probably never will be, that guy... DLO showed many times during his brief time with the Lakers, that he wanted to be the guy taking the last shot, that he wasn't going to dump it off to anyone to avoid taking that shot. DLO's scoring and passing will only get better... and I like his mentality to put the dagger into the opponent... way more than Lonzo's. I'm not even sure Lonzo has that in his personality makeup. In any case, the past is the past... if Lonzo turns into that transcendent player that Magic envisioned... that would be amazing... but for now... in his young career... he looks more like a poor man's Jason Kidd to me. Several really excellent points... particularly DLO hitting the biggest shot of the game. That was something we saw during his brief time with the Lakers and something that compliments LeBron. If you build around the best player on your team... and you have LeBron... you take DLO over Ball. If you are thinking longer term... you take Ball over DLO and hope Lonzo develops some balls during crunch time when the team needs someone to step up and take the shot with the game on the line. To go from just a beautiful effort on both ends against Charlotte to losing against 2 teams you could have easily blown out, is a tad worrisome for me. 30 game sample size and guys who PLAYED together before are committing turnovers because one guy zigged when he was supposed to zag, that is just stupid. I am not so mad at the losses just how straight up pathetic they look on effort for good size chunks. I would choose lonzo over dlo any day of the year, coz he is way better team player than dlo. Yes he had few more assists, but lonzo made way more plays and could have had more, but our team missed so many shots. Lonzo is a better team player.. better at getting his teammates involved no doubt... and that is an important role for any PG. I just wish the guy brought more to the table in scoring, intensity, etc... maybe it will come... hoping it does. I can see that shooting efficiency is a big stat for you, and I cannot fault you for that. I do think there is more to the game than that. I think LBJ controlling the game goes to a point made earlier in the thread about Zo basically playing like a role player, who hit his open shots and got hot. To your point, it may not be Zo's fault that he is limited since LBJ controls so much of the offense. There are counter points to make as well. Maybe DLO's TS% would be higher if he got the open shots that ZO and others on this team got. End of the day, good game for ZO; and DLO's stretch of play has been very impressive as he has been a major factor in an unexpected 6 game winning streak for a less than uber talented team. Luke benched him because he was not putting the effort in on the defensive end and was not passing the ball. Ingram even made the commend "DLo dont pass the ball". If you Quote best player Unquote is not playing defense why should the other guys? You're aware that Ingram's comment was said in jest right? Or did you hope no one would remember? The reason D'lo and Lonzo would have been the perfect back court is that they compliment each other so well in that D'lo's weaknesses are Lonzo's strengths, and Lonzo's weaknesses are D'lo's strengths, and you could maximize both and have your team with that. Too bad we never got the D'Lonzo backcourt. But you'd have to take that up with Magic. I believe this is the first game DLO got a win against us. Obviously not having Javale is huge as well. 18-13 is still a damn good record considering where we were last season at this mark. DLO right now is better than Lonzo. DLO is what he will always be however. A shoot first un-athletic PG that maybe better suited at SG. His game is not unlike Harden's but just not as good. He has knee issues too both knees were wrapped. He will never be a blow by player. I still to this day compare him to Jalen Rose, though smaller. At the time they drafted Lonzo, general consensus was that DLO & Lonzo would be an awful backcourt, but that was when they said Lonzo wouldn't be a good defender at the next level. It would have been interesting to see how they meshed and even throw in Randle into that mix. But make no mistake, the Nets trade led to not only getting Lebron, but the additional picks that led to Kuzma. They also picked up Hart late, which if they don't make that trade, no telling which of the two they drafted, smart play by the Lakers. Lonzo is still developing. If he can get consistent with his shot and add a nice floater, he could be really good. But next to LBJ, his playmaking is less important and there aren't as many rebounds to be had. If a good trade was available, I would have to consider it. I'm anxiously awaiting your rebuttal. your support looks like something a 3rd grader would present....so you think that is how it works....Ball had one more point....and Dlo had 10 more assists....but in your little school fair chart....it is 1-1. Really, if you watched that game, and think that Ball had as good of a game as Russell....we do not have anything basketball related to talk about. Ball was a utility player that hit some shots.....his impact beyond that was less than minimal. Nothing new....Ball can hit a couple 3's and make open dunks....he hit more open shots than normal tonight. Ball cannot create offense for himself....is always reliant on someone else to create shots for him....nor can he create for others in the half court efficiently. Russell ran his team.....he created offense for himself and others....he routinely was getting into the teeth of the defense causing breakdowns.....he controlled the pace of the game on offense.....his impact was huge for the Nets. this is exactly right, and written/explained very clearly. Ball is a nice player with upside and good athleticism, a game player who is putting in effort and playing D and not acting foolish or doing anything wrong. I keep trying to be postive about Lonzo, however the contentiousness in the forums is so weirdly myopic around Lonzo it is weird and frustrating. DLO is clearly a more advanced player, and possesses real high line legit NBA offensive skills and abilities. He is far past Lonzo in his development, especially in the areas of playmaking and pick and roll, where his vastly superior HANDLE, vision and patience allows him to let players get open. For instance that key assist very late in the game where DLO held the ball on the sideline then hit the open guy for a clear layup; in the same situation Lonzo would've hot potatoed the ball with a touch pass 10 seconds earlier or jacked up a bad 3. Further most of Lonzo's stats are very hollow. Mostly junk rebounds or trivial assists passing above the 3 point line, and very questionable shooting most times. I dont want to say he played extra hard against Brooklyn because he has good effort generally, but it was eyebrow raising that DLO starts torching him a voila suddenly Lonzo hits 3 or 4 threes, which let's face it is extremely unusual. the striking thing to me is that the Lakers shipping Mosgov and DLO is such a easy one sided deal. Now if tgey had shipped Deng then that is more marginal... but Brooklyn actually traded Mosgov < 12 months later for value, while the Lakers are still on the cap for $7M a year for Deng for next three years after the buyout. And then to see the player we virtually gave away torch us on a six game winning streak... I mean that is deep. If the Lakers hadnt miraculously drafted Kuzma 27th, who might in retrospect have gone first or second in that draft then the whole episode might be such a confused and colossal **** up that we might just say it would be better for Magic Pelinka to just walk away before they do more damage and embarass themselves. however, Lebron did choose LA, so I said before that heals all wounds. 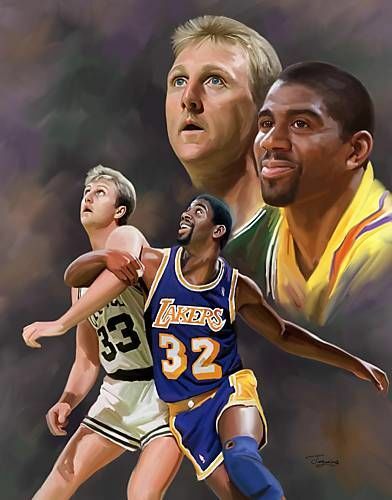 And of course all the mercs who showed up and signed that is all credit to Lebron, however Magic Pelinka has drafted extraordinarily well with later picks so that is a saving grace, I dont know if that is Jerry West Jr or whatever but that is great.